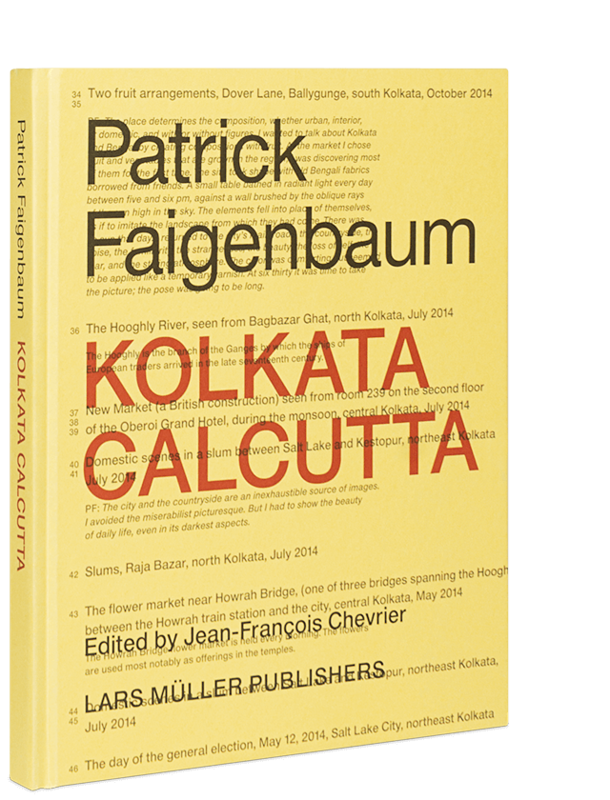 Like his previous publications, photographer Patrick Faigenbaum’s new book is dedicated to a specific terrain: the Bengali metropolis of Kolkata, which bore the name of Calcutta during its time as a British colony. Winning the prestigious Henri Cartier-Bresson Award in 2013 allowed the artist ( b. 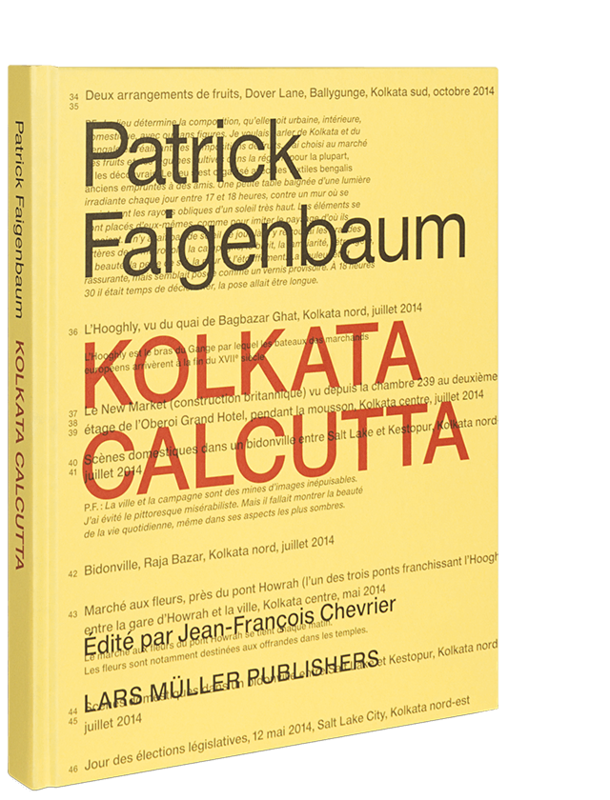 1954 in Paris ) to pursue the project Kolkata – Calcutta, in collaboration with the art historian and critic Jean-François Chevrier. The photographs, which Faigenbaum began taking in the spring of 2011, make tangible how a visitor can’t help but be taken in completely by this overwhelming city. Detailed captions accompany the photographic sequences, while an interview with France Bhattacharya embeds the images in the Bengali culture. The historical profile of the chaotic metropolis and its close connection with the surrounding countryside are shown through the prism of figures from public life, rituals, and intimate landscapes.